Many of us have a favorite gaming spot. Whether it's a gaming club, a FLGS, or just a friend's living room, garage, or basement, there's the spot where we get together with our fellow gamers to throw down. Well, there's going to be a new spot available for you to get your gaming on: Mantic's Gaming Hall. That's right, Ronnie's letting you "crash at his place" (metaphorically) and play some games. 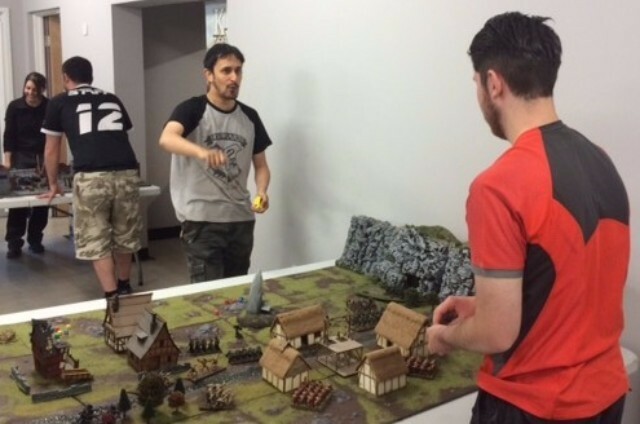 On the first Saturday of each month, Mantic will be holding their Gaming Club from 10am to 4pm. The first one will take place in just a couple weeks on September 3rd. There will be tables all set up with great scenery for you to play on. You can get demos of various Mantic products. There'll also be the Mantic Shop, where you can get special deals on figures, as well as get special exclusive show models. Want to use the space for your own gaming events? They'll do that, too. If you want a perfect spot to run your Warpath, Deadzone, or DreadBall tourney/event, you can't really get any better than Mantic's HQ. They'll even promote your event on their own Facebook page and blog. Want to run a non-Mantic event? Well, you can still do that. It just costs a bit extra.